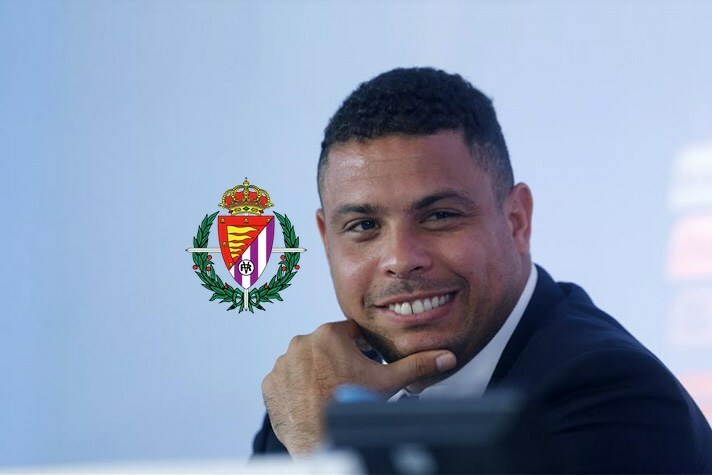 Brazil and Real Madrid legend Ronaldo will become the primary owner of Real Valladolid. Ronaldo, who will purchase a 51 percent stake in the club for €30 million, joined current majority owner and president Carlos Suarez and city mayor Oscar Puente at a ceremony at the city hall on Monday. "I have gone through many experiences in my career that have prepared me for this," Ronaldo said. "Football is always a passion." Suarez, who owns 66 percent of the shares in the club, believes selling a stake to Ronaldo will only help it succeed. "Ronaldo's arrival puts Real Valladolid on the map and will allow the club to have a bit of quality," Suarez said. "I welcome him to his home." Puente had said earlier that he would welcome the arrival of Ronaldo to Real Valladolid as the club owner. "He is a sports world icon and the operation seems interesting," Puente told AS. "Along with Michael Jordan, he is the only person who has a lifetime contract with Nike. It would bring a lot of value to Valladolid."